The weather forecast is calling for snow. Lots of snow. 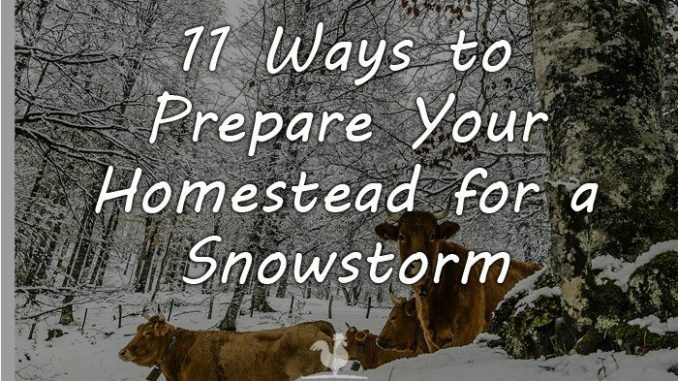 How do you prepare your homestead for a snowstorm? First, it’s vital to understand the difference between a winter storm watch, and a winter storm warning. A winter storm watch is just that, a watch. There is a potential for a snowstorm in the next 12 to 48 hours. 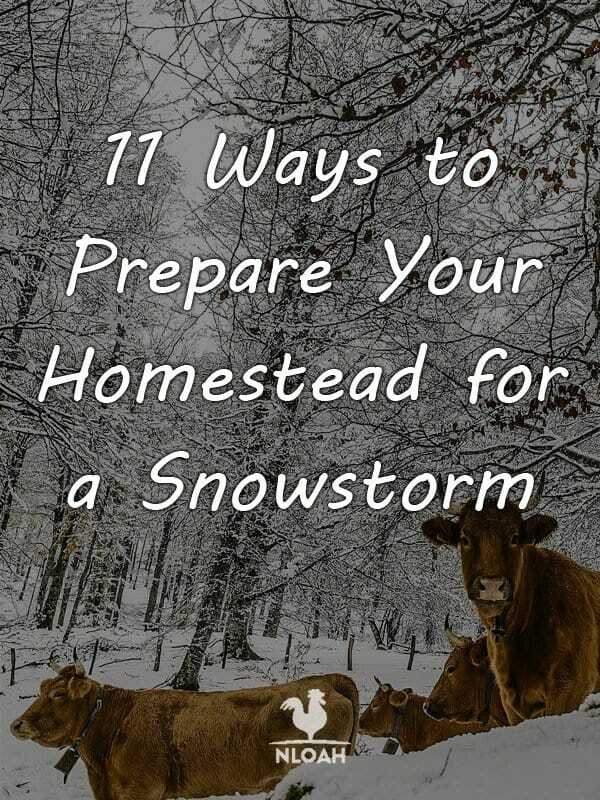 This gives you some time to prepare your homestead for a winter snowstorm. You’ll want to act accordingly and plan ahead. There is still some time so you don’t need to panic. In fact, since it’s a watch, there is still the chance that it will miss you entirely, but don’t count on that. A winter storm warning, however, means that within the next 12 hours the weather forecast expects a snowstorm. You’ll have less time to prepare if this happens. In fact, there may be no warning at all. Safety is the key here. Keep an eye on the weather at all times, if it looks like snow, be prepared. Plan ahead and understand the consequences if you don’t. Enough medications for at least 3 days for those who are on prescription medications. This kit isn’t necessarily a “bug out” kit, it’s just so that if there is a snowstorm, everyone can find what they need easily and quickly. If the power goes out, it really does help to have everything at the ready. Hats, gloves, and scarves should also be within easy access for each family member. 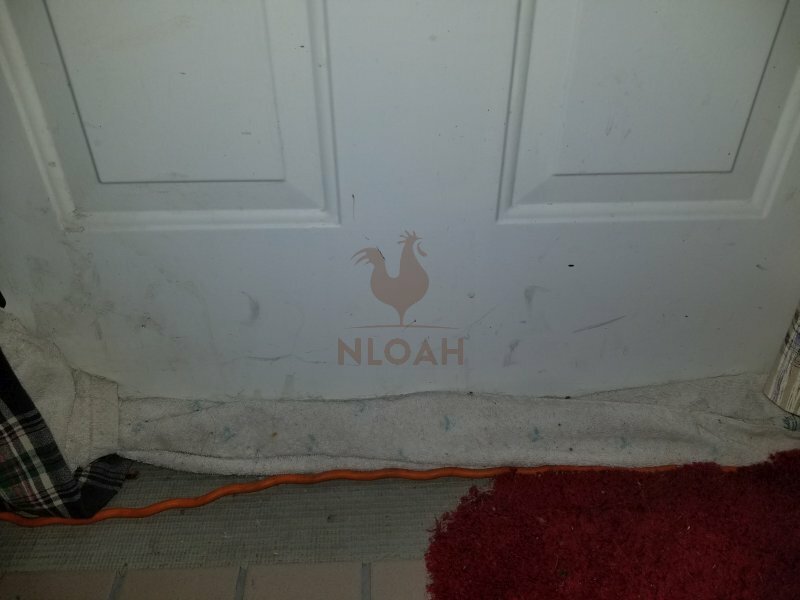 Many families keep these by the back door, others keep their own personal supply in their rooms, however, it’s done, have plenty of extras so that when they are wet you can trade them out. Kids will get bored easily during inclement weather. Have some games on hand to keep them occupied. Even a deck of cards can go far in giving parents sanity when the kids are all cooped up inside. Kids can also help to prepare the homestead for a snowstorm. Small tasks such as making sure that toys are picked up out of the yard, putting food away in the pantry and so on are all ideal things to keep kids busy and helping prepare the homestead for a snowstorm. Even the youngest child can help by putting items in a backpack, putting things away and helping to choose a few games to play if the weather is bad outside. If you’re like most homesteaders, you’re always after something or using your vehicle in and around the homestead. You can stow a backpack of supplies behind the seat of a pickup or you can stow a backpack of supplies in the trunk of your car. You’ll want to keep a winter survival kit in your vehicle as well. Keep your gas tank at or near full at all times. Always let someone know when you anticipate arriving somewhere. When you go back home, a quick phone call or text goes far in letting them know you’ve made it home safely and there’s no need for a search party. If you’re stranded in your vehicle, don’t leave it. Run your motor for approximately 10 minutes per hour to keep the car warm. Crack the windows to avoid carbon monoxide poisonings. Check to ensure that the tailpipe isn’t clogged with snow or other debris. You can tie a bandana around an antenna or raise the hood if you need assistance. Understand the basics of winter driving. If you’re afraid to drive in the winter, find someone on your homestead that doesn’t mind and assign them the task of driving. Keep a snowstorm kit in the barn as well. Again, a backpack stowed away with the gear is ideal. Occasionally there will be a quick snowstorm that’s not anticipated and it can be dangerous to even leave the barn. Make sure that your snowstorm kit has flashlights with extra batteries, an extra cell phone battery, a battery-powered radio, some food and water for emergencies, medications for those who work in the barn and may require them, first aid supplies, a source of heat, fire extinguishers and carbon monoxide as well as smoke detectors. Make sure that there is plenty of bedding for the animals and a warm dry area for them to be if it’s windy or blizzard-like outside. As winter comes, the temperature can drop rapidly. You’ll want to make sure that coops have wind blocks up. You’ll want to ensure that hutches and animals in the barn aren’t in an area that might have a cold wind blowing through. If you have water tank heaters, be sure that they are in working order and plugged in before the temperatures drop too low. Frozen water can take a long time to thaw and animals can rapidly dehydrate. These are available at feed stores and the like for under $30 and upwards of a few hundred dollars depending on the type you choose. It’s well worth the investment. Check your fences beforehand as well. 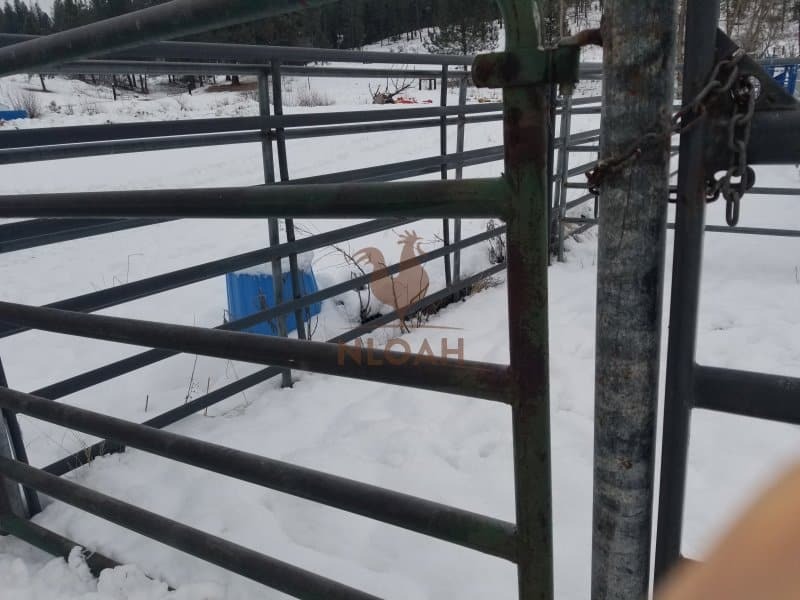 Repairing a broken fence in the snow to keep the animals in can be dangerous to both you and the animals. 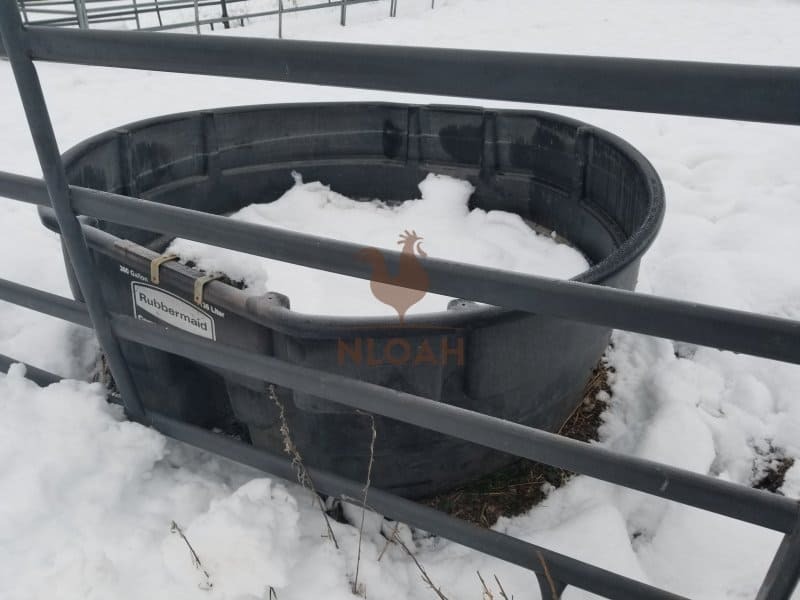 You don’t want your animals to escape and freeze to death and your hands aren’t going to want to hold boards up or wires up and secure them in the cold temperatures. Not to mention that you may be knee deep in the snow during such repairs and risk freezing yourself. Have plenty of extra feed on hand in the sheltered areas where you move your livestock to so that you won’t run out and have to run to town. If you have beehives on your homestead, prepare the hives. Many beekeepers pare it down to one hive in order to help the bees stay warm. They also put some honey in the hive and place a brick on the top in case the winds kick up so that they won’t move the hive around too much. They also put sides up on the hive to ensure that the bees aren’t exposed to the wind and elements of a blizzard. Often, old homesteads aren’t well insulated. Winter isn’t the time to find out that the home isn’t insulated. Instead, check for leaks and cracks as well as insulation beforehand. Take the time to seal off doors and windows. Fill cracks with spray foam insulation. Don’t forget to check the attic as well. Small holes in the attic can let a lot of cold air in since hot air rises you’re going to be losing heat from here. Seal them off as well. Cover windows and unused doors with plastic to help block the wind. There are a variety of thicknesses of plastic that can be used to cover windows. 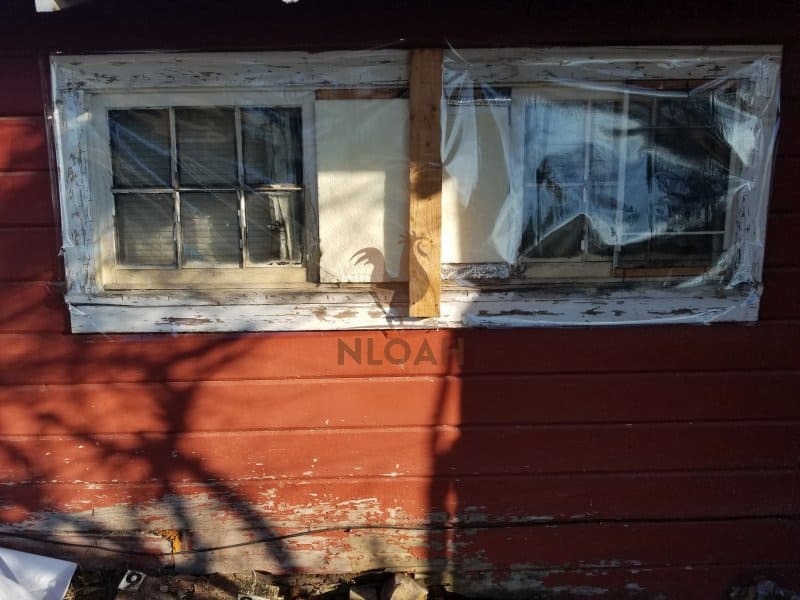 You can find inside the plastic that goes over the insides of windows, and there is also plastic that can be stapled or nailed over outside windows. It’s all a matter of affordability and what you prefer. 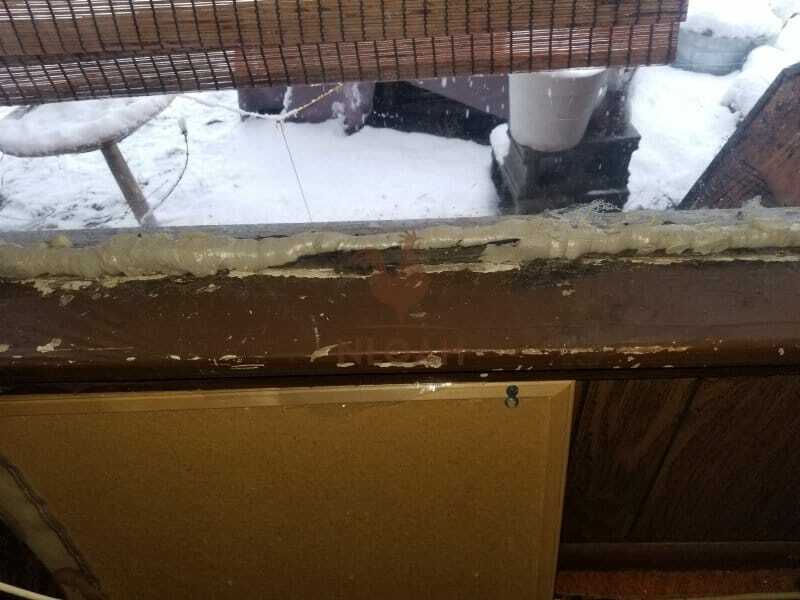 Many homesteaders choose to use both inside and outside plastic to have a bigger barrier against the cold weather. This method works very well to protect the home from cold drafts. It will save the heat and help everyone stay warmer. Make draft dodgers or stuff blankets or towels underneath of outer doors to help block the wind and the chill. Consider doing this to window sills that require some extra sealing. You can also seal windows with spray foam insulation around the edges of the window and then plastic the windows. Seal off areas of the homestead that may not be in use such as an old basement or attic area. 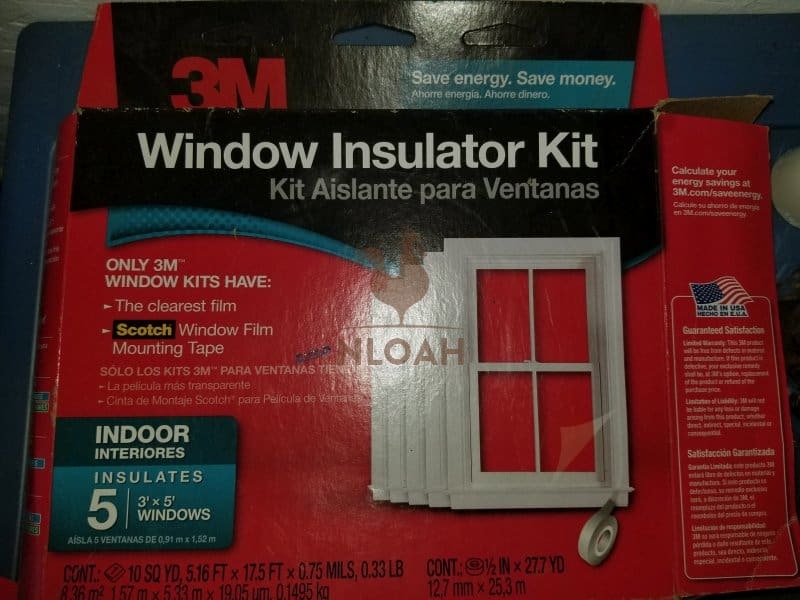 Put the plastic that you put on the outsides of the windows around attic or basement entrances if you need to in order to seal the area off from the rest of the house during inclement weather. Have plenty of extra blankets on hand in case the power goes out. If you have a wood stove make sure that you’re prepared for winter with plenty of firewood and clean out the wood stove and the chimney before winter chill sets in. You may even wish to bring in a bit of extra wood so that you don’t have to go outside to the woodshed during the snowstorm. Many homesteaders make a “warm room”. This is a room in the house (usually the room with the wood stove) that they can close off from the rest of the house and heat only that room. It helps to keep everyone warm in this fashion. To close the room off you may need to hang some blankets over doorways that don’t have doors. This works well as long as the blankets are kept away from the heat source. If you rely on wood heat for your heat during the winter months, you’ll want to ensure that your wood stove and chimney are cleaned out. If you use a regular furnace, make sure to clean the air filter is cleaned and that the furnace is fully functioning. Have your furnace checked annually to ensure that it’s in optimum condition. Consider investing in a generator. Many homesteads rely on generators to keep the farm running should the power go out. If you’re in a region that is prone to power outages this will be a lifesaver for you and your farm animals. You can run heaters from the generator if need be and keep things functioning. Make sure that the pantry is well stocked. Whether you have plenty of dried foods, canned foods, a freezer full of food or a combination, this can help to get you through the winter storm. Plan ahead for some healthy meals. Be sure that you’re eating and drinking plenty of fluids to prevent dehydration. Opt for easy to prepare meals as you may wind up with no power and have to rely on a propane stove or wood stove to prepare your meals on. Make sure that pets have plenty of food as well. Stock up on pet food when it’s on sale and store it in airtight containers. 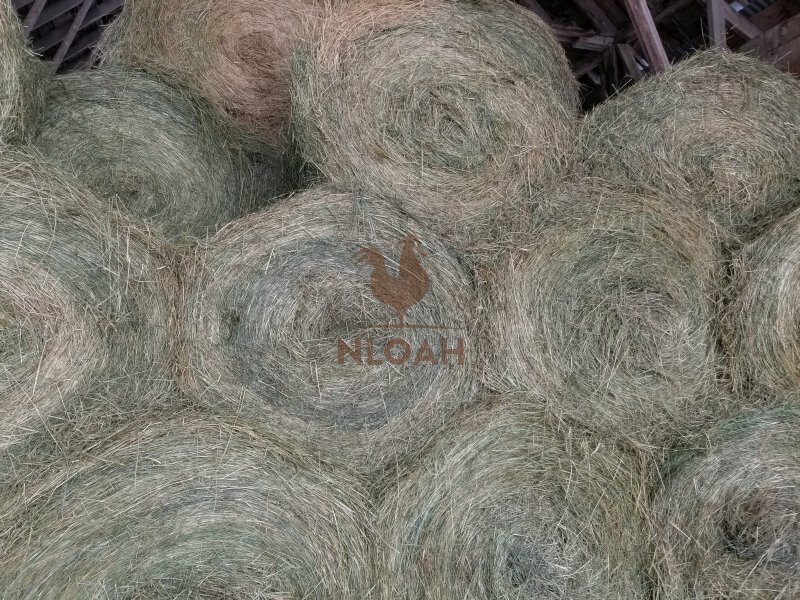 Do the same for farm animals or harvest enough from the alfalfa field to ensure that there is plenty of extra when animals can’t graze. Special note: If the power does go out. Only open the freezer to get a few things out to thaw. Then close the freezer and leave it shut. This may allow you to save the food that remains in the freezer if the power is out for a longer period of time. If anyone in your household takes medications, make sure that you have a few days extra supply on hand. There’s nothing worse or more dangerous than running out of an important medication and not being able to get out due to the weather to go pick it up. Always order medications as soon as insurance will allow you to order them, in this fashion, you can slowly build up a few extra days worth of a supply. Wear plenty of layers to help keep your body temperature warm. Loose, light-weight layers will go far to helping you to stay warm. Even lightweight blankets can be worn as shawls or around the body to help keep you warm. Focus on layers as much as possible. Have plenty of extra socks on hand, socks can also double as mittens in a pinch. Keep some old bread bags or plastic grocery bags handy to put into boots should the boots be leaking. This really does help to keep the feet warmer. What If You’re Caught Outside? If you’re caught outside during a blizzard and you can’t make it back to the house, get to the barn or find a shelter of some sort immediately. Cover your body as best you can with what you have available to keep warm. Always keep an eye on the weather forecast when you’re homesteading. There are many freak snowstorms in some regions, and you don’t want to be caught off guard and have to seek some form of shelter. More than one homesteader has died trying to find their way back to the house or barn in a freak snowstorm, don’t be that person. Plan ahead and learn to watch the sky, listen to the weather reports and storm warnings. If there is a pending snowstorm, plan ahead to feed the animals a little bit early. It may just save your life. Plan ahead for the winter months. 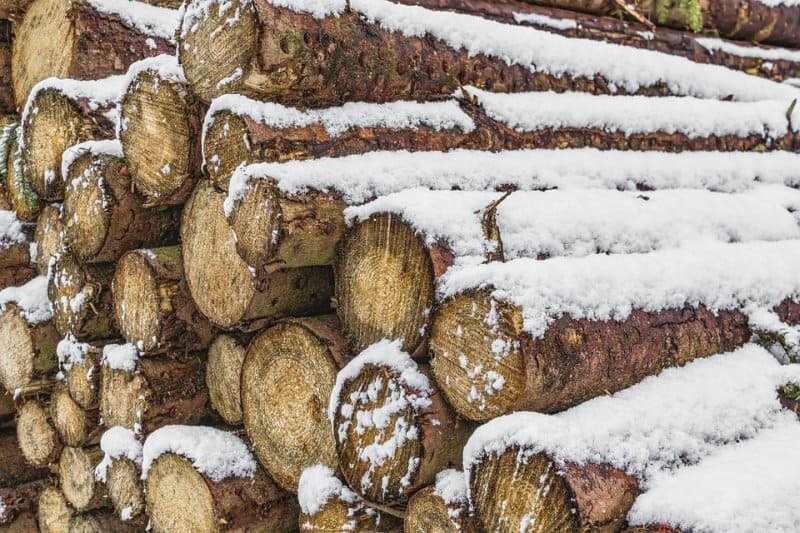 Start your wood supply early and continually build on it so that when winter hits, you’re all prepared. Remember to season wood for a season so that it’s ready to keep you warm during winter months. Every time a tree falls, start making plans to use it for your wood supply. Whether you drag it to a holding area for your homestead or simply make note of it, be sure that you’re taking advantage of the fact that it’s fallen and will become part of your wood supply. Remember that having a wood stove or a fireplace is an ideal backup should the power go out and your furnace goes out. It never hurts to have backup plans in place during the winter months. As you use things, be sure to put them back. When items that are left out are covered in snow you could twist an ankle or the item could become damaged. You could also fall and break your leg, arm, ankle, hand, etc. Don’t risk this. Take a few minutes and put things away safely to avoid winter hazards. Keeping things neat and tidy will go far in helping your homestead to be ready for winter months. When the snow hits you don’t want to be looking for the ax in the woodpile. You don’t want to have to worry about what may have been left out to the weather elements. It really only takes a few extra minutes to put things away where they belong and you’ll have the peace of mind that your homestead is prepared for winter months. Snowstorms can come on unexpectedly in the winter for many areas and you don’t want to have to go looking for items like snow shovels (have one at each entrance to the home and barn as well as in the trunk of the car) and other important items that you may need. Make it a habit to be organized and prepared for any event. This may take awhile in the beginning, however, after you’ve managed to get all organized, you won’t have to do much more than simply put things away where they belong. If you have equipment on your homestead, you’ll want to winterize it before a snowstorm. If you have a way to put it undercover, be sure that you do this. Focus on making sure that fluids aren’t sitting there to freeze in the equipment as this could wind up costing you a small fortune to repair the equipment. Drain the fuel tank in the lawnmower and tractor (if it won’t be used during the winter months). This could save you a lot in the long run. If you’re going to be using the tractor to move snow around, be sure that it’s ready to use. Fill the proper fluids and make sure that you’re following manufacturers recommendations. If you can’t park under cover perhaps you can make a lean-to or a pole barn that is only open on one or two sides or use a tarp to help protect the equipment from the elements. Whenever possible, have your farm equipment serviced before winter hits. This way, it will be all ready to go in the spring when you need it. Every homestead is run slightly differently. Some will have more animals than others, some may not have any animals at all. 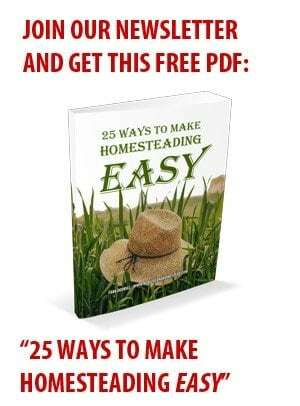 It’s all up to the individual homesteader. Focus on your homesteads specific needs. Make a list before winter hits of how you plan to prepare your homestead for winterization and focus on this list as weather permits. It’s far easier to do many of the winterization tasks when it’s nice outside than it is to be scrambling to do it while it’s raining or snowing. Some tasks are going to take longer than others so keep this in mind and prepare accordingly. Hi, I'm Linda. I'm a mom, grandmother, homesteader. I love simple living and enjoy my life on a homestead where I garden, raise a variety of animals and strive for a life more like my grandparents lived. My goal is to enrich life by living it as simply as possible and focusing on the way my grandparents did things. Life is so much more fun when it's lived simply. alot of this information is also true for hurricane preparedness one thing i always do for preparation – use food saver system to store clothing and items that can be damaged by water such as toilet paper and matches. also dry foods such as soup mix and oatmeal etc. takes up less space and keeps well. ofcourse this is preprep as the season starts. Great ideas Mark, Thank you! Yes, you can prepare for a hurricane and other emergencies as well in this fashion.